The holidays are quickly approaching. 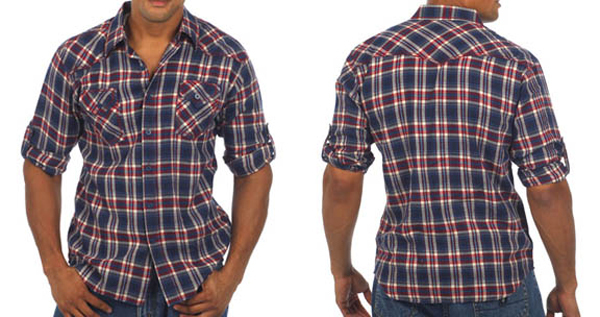 And if you’re still looking for the perfect gift, here’s a few guy-approved products that are guaranteed to please. Panasonic LUMIX DMC-TS1 Waterproof Camera: For the novice and professional photographers alike, this new camera from Panasonic has some of the best features available on a camera today. It is the world’s first waterproof, shockproof and dustproof digital camera to also feature AVCHD Lite High Definition (HD) video recording capabilities. And because it is waterproof to a depth of 10 feet, shockproof from falls up to 5 feet, and dustproof, you can feel confident taking this on your next cruise or camping trip. 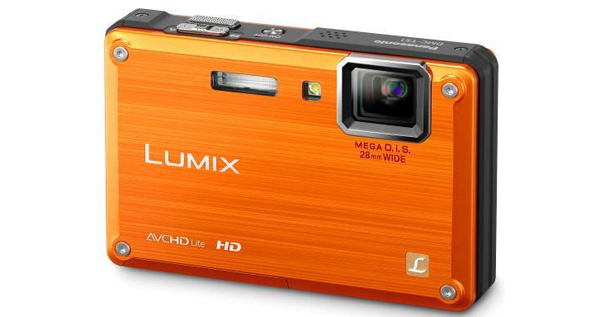 The LUMIX DMC-TS1 is available in silver, green and orange. Soho HD Camcorder, Luxe Collection: The Soho 720p HD Camcorder, part of the new Luxe Collection from DXG, combines high-definition technology and style in one camcorder that is hip, hot and haute. 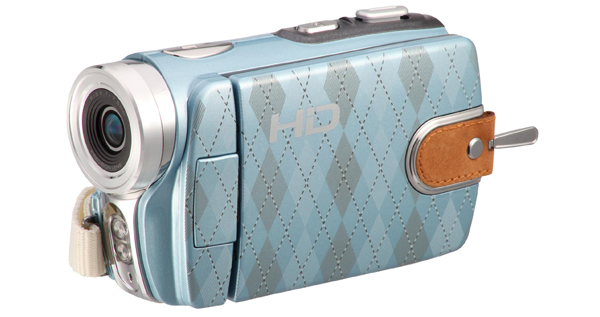 The Soho 720p HD Camcorder comes in a blue argyle design that is inspired by the latest trend in fashion. The Soho 720p HD Camcorder records real 720p high-definition video, and captures still pictures up to 8MP image resolution. So whether you’re on the runway, or sitting around the fireplace with family and friends, you’ll be able to capture all your holiday memories. 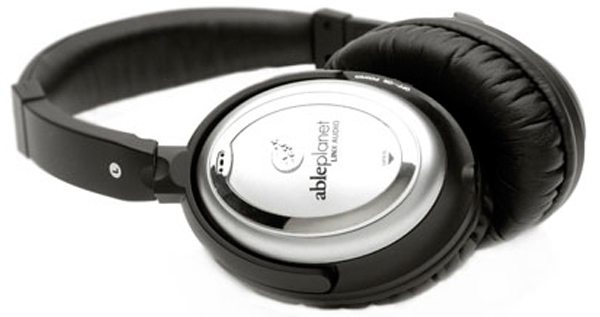 CLEAR HARMONY™ Noise Canceling Headphones from AblePlanet: If you or someone on your list love to jam out to music as if no one else is around to watch as you mouth the words to your favorite GLEE songs, these are the must-have headphones. Featuring award-winning patented LINX AUDIO® technology for the best sound quality, you’ll hear every detail in your favorite songs and movies. And when you want to block out even more noise – these are perfect for your flight home to see the folks – simply flip on the headphone switch to cancel out virtually all other noise around you. Jawbone Prime Earcandy Edition: If a new cell phone is on your wish list this year, so should this chic bluetooth headset. 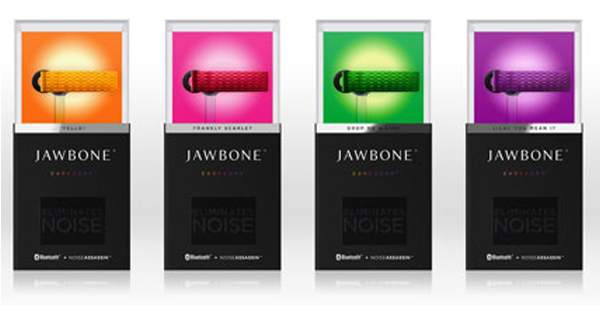 Available in an array of candy colors, the Jawbone Prime Earcandy Edition features NoiseAssassin® to reduce background noise, as well as an industry-first digital wind filter, meaning you can say goodbye to conversations that make it sound like you’re in the middle of a blizzard; even if you are. Bonus features allow the user to customize the fit and connect two phones simultaneously. 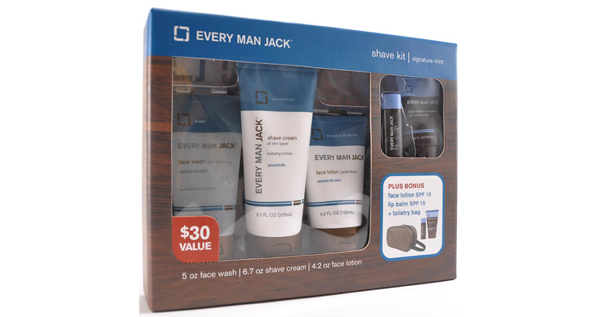 Every Man Jack Holiday Shave Kit: If the economy has you feeling less like Santa and more like Scrooge, turn that scowl into a smile with this budget- and eco-friendly gift set from Every Man Jack. Featuring a massive collection of full-size products – Face Wash, Shave Gel, Face Lotion, Bonus SPF 15 Face Lotion and Lip Balm SPF 15 – the kit is value priced at just $10 to ensure that every guy on your shopping list is covered, especially when it comes to getting a great shave and smooth skin for all their holiday festivities. GAGE FOR MEN® Responsible Style™ Gift Box: This handsomely packaged gift box, brand new for the holidays, features GAGE FOR MEN® Hydrating Hair & Body wash, GAGE FOR MEN® Daily Conditioner, as well as the GAGE FOR MEN® Shampoo Brush, which offers a unique experience by deep cleansing and exfoliating the hair and scalp. 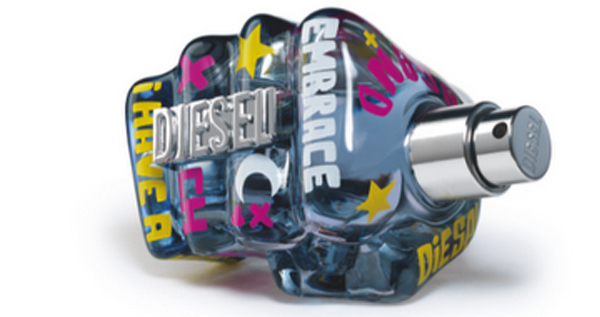 Diesel Only The Brave Limited-Edition Bunka Bottle: Diesel has teamed up with Bunka – the visionary artist behind some of the most coveted designer toys developed by Artoyz – to produce the limited-edition bottle for Diesel’s iconic Only The Brave fragrance. The graffiti-inspired explosion of color is inked with words describing the power and courage of the fragrance, in a chaotic, vivid expression of what it means to be brave. Disclaimer: The brands listed above provided samples in exchange for editorial review.